Becoming a mature student is very rewarding – and, getting a place as a mature student in college or at university may be closer than you first realised. Related work experience, life experience and access courses may get you that place on that higher education course that you have always dreamed of doing. The term ‘mature student’ actually relates to anyone over the age of 21 years. A mature student is someone who has taken time off after school and waited a few years before starting higher education. People make their decision to become a mature student for a variety of reasons, circumstances and at different times in their lives. For some students, it could just be a personal ambition to go into higher learning and gain that qualification. For other students, it could be a way of opening up an existing career or a new one. A hard earned higher learning qualification can show your existing or new employer exactly what you are made of. A higher learning qualification can demonstrate key skills and important qualities that many employers look for in their staff. 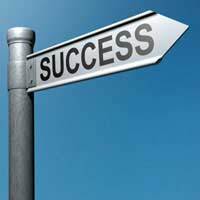 A higher learning qualification can also open up ways of opening up your own business. You may also be able to start higher learning while you still work at your existing job; your employer may even help towards funding for the course. Studying part time and flexible courses – Part time and flexible courses are very popular with those mature students that have families and other work commitments. At least 40 per cent of students that are on higher learning courses are enrolled in flexible and part time courses. Local Study – Many students leave home to go to college or university. It can be a great way to assert their independence. However, if you have a mortgage or rent to pay, have family commitments and so on, leaving home may not be an option. So, by choosing to study locally, you are enabling yourself to study and continue with your daily life. Distance learning – Distance learning is learning at home, at you own pace. You can have contact with other students and tutors via teleconferencing, email and telephone. You may also be able to meet up occasionally for study groups and meetings. Distance learning is great for those that are unable to travel to college and university, or for those that have other commitments. Choosing the right course and the right higher education provider can be a daunting task. There are so many courses to choose from and many of them can be found at different learning providers. Start by narrowing down what subjects you wish to learn about and think about what you want to do after you have finished learning. If you are looking at getting a job after learning, you may have to have a specific qualification – by knowing what you want to do and how you want to learn will make your decision much easier. Higher education at any time in life is not cheap. It can be a financial burden for some people, and some people choose not to even start higher education because of the cost. These problems can be avoided (or at least made less of a burden) by choosing part time or flexible study. This way, you can learn and continue to work at the same time. Distance learning is also good for people that will have to continue to work as they learn. If you do choose to do a full time course, you may be entitled to financial assistance if you have children or your household earns under a certain amount. You will be able to find out what you are entitled to when you apply for your higher learning course. Entry requirements will vary depending of the course you wish to start. Some course may require A levels, work related qualifications such as BTECs or NVQs, while others may need you to complete an access course. Sometimes, work experience, life experience and day to day skills can be counted towards entry requirements.